The Executive Committee is the primary decision-making body of the Association of Internet Researchers. Its primary role is to ensure the continued viability of the Association, advance the interests of members and of Internet research in general. The Committee is elected every two years, with the previous Vice-President becoming President. The Executive Committee establishes working parties from time to time that include members as well as executive representatives, such as the current Ethics Working Group. Dr Axel Bruns is an Australian Research Council Future Fellow and Professor in the Digital Media Research Centre at Queensland University of Technology in Brisbane, Australia. He is the author of Blogs, Wikipedia, Second Life and Beyond: From Production to Produsage (2008) and Gatewatching: Collaborative Online News Production (2005), and a co-editor of the Routledge Companion to Social Media and Politics (2016), Twitter and Society (2014), A Companion to New Media Dynamics (2012) and Uses of Blogs (2006). His current work focusses on the study of user participation in social media spaces such as Twitter, and its implications for our understanding of the contemporary public sphere, drawing especially on innovative new methods for analysing ‘big social data’. His research blog is at http://snurb.info/, and he tweets at @snurb_dot_info. See http://mappingonlinepublics.net/ for more details on his research into social media. Lynn Schofield Clark (PhD U of Colorado) is Professor, Chair, and Director of the Estlow Center for Journalism and New Media in the Department of Media, Film, and Journalism Studies at the University of Denver. 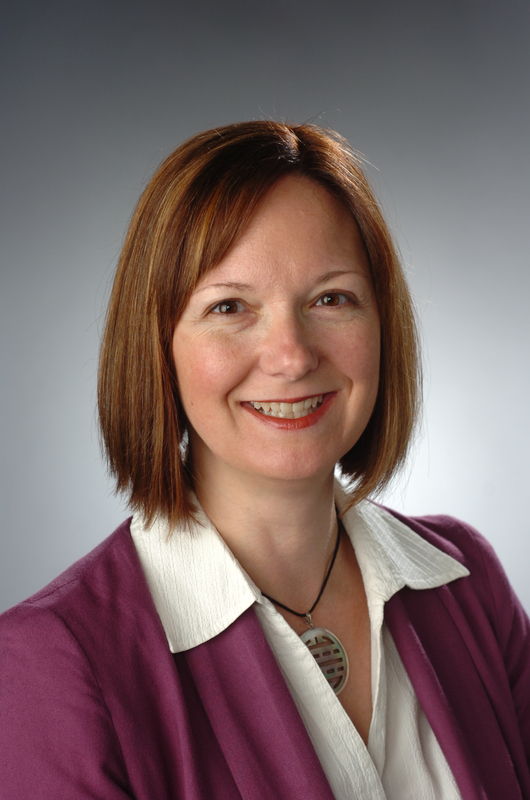 She has been involved in AoIR for more than a decade and served as Conference Host for AoIR 2013 in Denver. She is a participatory action researcher who works with U.S. young people of color, studying the practices of political newcomers as they use, share, and engage with news and political processes via social media, considering the implications of these practices for public life. She is the author (with Regina Marchi) of Young People and the Future of News (2017, Cambridge U Press), and is also author of The Parent App: Understanding Families in a Digital Age (2013, Oxford U Press) and From Angels to Aliens: Teenagers, the Media, and the Supernatural (2005, Oxford U Press), in addition to other publications. Jennifer Stromer-Galley (PhD. University of Pennsylvania) is a Professor in the School of Information Studies at Syracuse University, and Director of the Center for Computational and Data Sciences. She has been involved with AoIR since the first conference in 1999 and has been an active member ever since. Her research and teaching examine how humans interact with and through information and communication technologies (ICTs) and to what effects. Her wide-ranging interdisciplinary scholarship has led to over 40 publications that focus on understanding influence, leadership, political deliberation, political campaigns, and training that occurs through ICTs. Her book Presidential Campaigning in the Internet Age (Oxford University Press) takes a historical look at shifting practices as political campaigns adapt to and adopt ICTs. Her research has been funded by the Intelligence Advanced Research Projects Activity and by the National Science Foundation. Kelly Quinn is a Clinical Assistant Professor and Coordinator of Graduate Student Instructors in the Department of Communication at the University of Illinois at Chicago. Her work focuses on new media and how these intersect with aging, social capital, friendship and privacy. Her current research centers on the cognitive and social impacts of social media use for older adults. She has been published in Information, Communication & Society, the Journal of Broadcast and Electronic Media, and the International Journal of Emerging Technologies and Society, as well as several edited volumes. She has been a member of AoIR since 2007, served as the Graduate Student Representative 2011-2013, Open seat representative in 2013-2015, and elected Treasurer in 2015. Kate Miltner is a PhD Candidate at the Annenberg School for Communication and Journalism at the University of Southern California. Her research agenda focuses on the intersection of technology, identity, culture, and inequality, and her doctoral research examines the Learn to Code Movement and the role that race and gender play within it. Kate has had research appointments in the Research department at Twitter and the Social Media Collective at Microsoft Research New England; prior to her academic career, she worked in advertising and social media strategy for close to a decade. 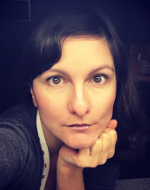 Kate has published scholarship on a variety of topics relating to digital culture, including internet memes, animated GIFs, online antagonism, selfies, and big data. Her work has appeared in the peer-reviewed journals Social Media & Society, International Journal of Communication, First Monday, Feminist Media Studies, and Mobile Media and Communication; her research has also been featured in Wired, Slate, The Atlantic, The Guardian, Time, and the BBC. Dr Crystal Abidin is a socio-cultural anthropologist who focuses on vernacular internet cultures, particularly young people’s relationships with internet celebrity, self-curation, and vulnerability. She is most known for her work on Influencers, a multimedia form of vocational internet celebrity on social media, and has recently written about the virality of young children on social media, young people’s expression of grief on the internet, and practices of young coupling in East Asia. Crystal is Postdoctoral Fellow in Media Management and Transformation Centre (MMTC) at Jönköping University, supported by Handelsrådet (Swedish Retail and Wholesale Development Council), and Adjunct Researcher with the Centre for Culture and Technology (CCAT) at Curtin University. Jack Linchuan Qiu is Professor at the School of Journalism and Communication, the Chinese University of Hong Kong, where he serves as Director of the C-Centre (Centre for Chinese Media and Comparative Communication Research) and Co-Director of the Centre for Social Innovation Studies. His publications include Goodbye iSlave (Univ of Illinois Press, 2016), World’s Factory in the Information Age (Guangxi Normal Univ Press, 2013), Working-Class Network Society (MIT Press, 2009), Mobile Communication and Society (co-authored, MIT Press, 2006), some of which have been translated into German, French, Spanish, Portuguese, and Korean. He is on the editorial boards of 12 international academic journals, including six indexed in the SSCI, and is Associate Editor for Journal of Communication. He also works with grassroots NGOs and provides consultancy services for international organizations. Luca Rossi is Associate Professor in the department of Digital Design of the IT University of Copenhagen and Head of the Data, Networks and Society Laboratory. He is active in the field of digital methods for social sciences. 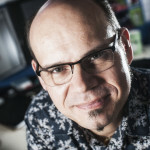 His research is interdisciplinary trying to connect traditional sociological approaches with computational approaches. His research has appeared both International Journal of Communication, Information Communication & Society, Journal of Information Technology & Politics, Social Media + Society, as well as in computer science journal such as Journal of Information retrieval and Computational Intelligence. His work in the field of social network analysis is well represented by the recently co-authored book “Multilayer Social Networks”. View the 2015-2017 Executive Committee here. View the 2013-2015 Executive Committee here.